Send us your Touch Mark or logo design with dimensions for quotation. 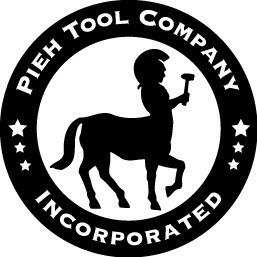 Your tools or work will be personalized consistently with this stamp. Sorry, no telephone quotes or orders for the custom stamp. In order to confirm delivery by Christmas, Custom Hand Stamp orders must be placed no later than November 14. Quote requests need to be in by November 11. Mail, fax or email your specifications and we will follow up with a quote. *Expect 2-3 week lead time.